 In February 2017, Umwelt ecologists commenced an extensive field program throughout New South Wales and Victoria as part of the Murray-Darling Basin Joint Venture Monitoring & Evaluation (JVM&E) program’s Woody Vegetation Project. 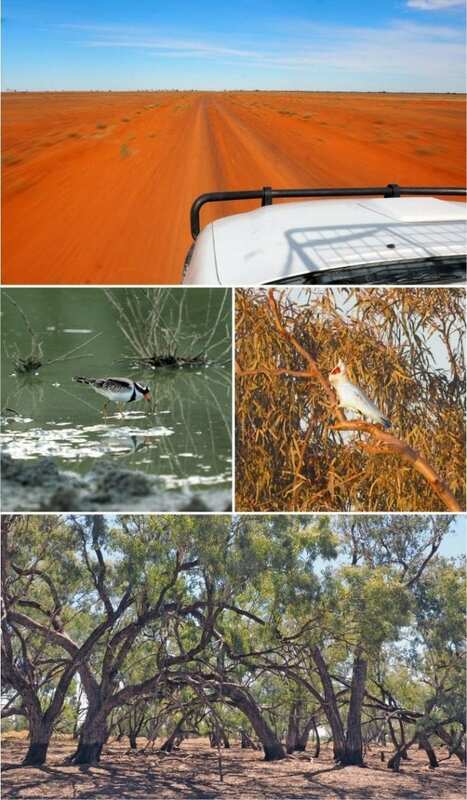 Specifically the field surveys involve Stand Condition Assessments (SCAs) within black box (Eucalyptus largiflorens), river red gum (Eucalyptus camaldulensis) and coolabah (Eucalyptus coolabah) trees within the Murray-Darling Basin. The data was collected to support the Murray–Darling Basin Authority developing a satellite imagery-based tool for assessing the condition of woody vegetation stands across the Basin, which will be a cost-effective method for ongoing monitoring and evaluation. Umwelt has been surveying almost 200 sites as part of the field program, with 20 sites being in Victoria and the balance within New South Wales. The site locations were selected by the Basin-states in collaboration with the tool developers and are based on bioregions, forest type, landscape position and stand condition. At each site, the surveys have involved field teams marking out the four corners of the plot (typically 50 x 50m in size). Trees within the plot were marked with tree marking paint and a pre-stamped metal tree tag. Canopy extent and Diameter at Breast Height (DBH) of 30 target trees (black box, river red gum and coolabah) were recorded within each plot and all remaining tree species in the plot had DBH measured and recorded. A hemispherical (180 degree) photo was also taken within a central point of the plot at each site surveyed. Photos are captured horizontal to the ground facing the canopy and were required to be taken within two hours of sunrise or sunset, or during the day in overcast conditions. These photos undergo post-survey analysis for the necessary data extraction. In addition to the SCA methodology described, the surveys also involved recording floristics within sub-plots of the larger SCA plot for State-based reporting. The surveys have been completed by six ecologists from the NSW and ACT Umwelt offices and individual survey periods ranged from one week to four weeks. Camping was utilised as the primary mode of accommodation for the survey program and more than 15,000 km have been chalked up as the teams worked through much of NSW (Dubbo, Carinda, Narrabri, Moree, Goondiwindi, Lightning Ridge, Weilmoringle, Bourke, Wilcannia, Wanaaring, Broken Hill, Cowra, Forbes, Kiacatoo, Lake Cargellico, Wallanthery, Balranald, Hay, Darlington Point, Narrandera, Wagga Wagga, Gundagai) and Victoria (Murchison, Shepparton, Kotupna, Echuca, Rochester, Bael Bael, Quambatook, Wycheproof, Antwerp, Dimboola). Umwelt is proud to have been selected to undertake this project and we look forward to the data providing a valuable means through which more efficient and effective environmental monitoring can be implemented.